Pumpkin Town has the honor to participate in the intersim Halloween event organized by Linden Lab: The Creepy Crawl Friday's Inworld! 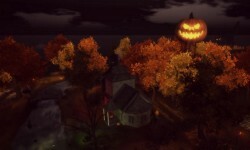 Wear your most scary halloween outfit, and have a lot of fun in this Halloween tour! 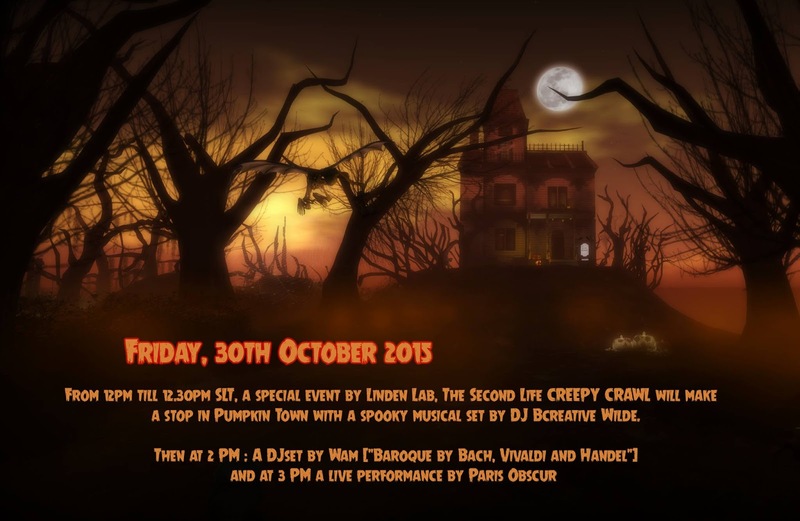 12 PM SLT : DJ Bcreative Wilde, our official Spooky DJ will rock the place! After this amazing event, we invite you to two original gigs! Friday's Inworld Creepy Crawl... An event with 9 sims, during 5 hours!